Honey Do Homes has been considered one of Wichita’s best window companies around. We have windows for sale, and can get you the best house windows available. A certified window installer will install your new home windows. With many energy-efficient windows to choose from, let our knowledgeable salesmen help you find the best home windows. Let Honey Do Homes be your window company. Call today for your free in home estimate. We will take care of measuring, ordering and installing the right product for you. We are certified installers and have perfected our installation process. We make all of our own interior window and door trim. The windows and doors are pre-trimmed at our facility. We custom color match your paint or stain both inside and outside. It is important to us to preserve the look of your home’s interior and exterior. Windows and doors are also pre-finished at our facility. The pre-trimming and pre-finishing process allows for a much quicker installation with less mess and odor in your home. 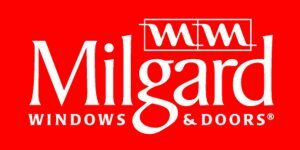 The most commonly used window and door manufacturers are Pella, Anderson, Marvin, Milgard and others are available. Andersen is an industry leader offering a broad range of windows and doors. Some of its most popular products are bow and bay windows, curved windows, picture, gliding and storm windows, and storm, patio, gliding and commercial doors. The SmartSun Glass of its 400 Series products provides a fine balance of visibility and comfort. Andersen’s innovative window and door designs have resulted in the U.S. Environmental Protection Agency (EPA) and Department of Energy (DOE) to name the company the ENERGY STAR® Partner of the Year award winner in both 2010 and 2011. 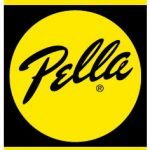 Pella offers a wide selection of energy-efficient windows and doors. Your Pella windows will be built to meet your specifications to ensure that your windows fit your budget and your particular style whether your tastes run classic, trendy, traditional or contemporary. The company’s casement, awning, double and single-hung, sliding, bay and specially-shaped windows are so energy efficient that they can help lower your monthly energy bill. The Pella efficiency comes from the windows being custom built, properly fit and professionally installed. You should consider Pella windows whenever you need replacement windows or custom built windows for a newly constructed home. Marvin Windows and Doors offers a broad range of windows, patio doors and sliding doors that has made the company an industry leader in energy efficiency, product innovation and progressive techniques. Marvin gives each of its clients individual attention as it builds its made-to-order doors and windows one at a time. Offering 19 clad ,external aluminum window frame, colors, high-quality wood options made of Pine, Douglas Fir, White Oak, Cherry and other fine woods, and an impressive and long series of architectural hardware, Marvin most likely boasts the window and door industry’s largest choice of customized options.